We want all our customers to stay in the know. If you don’t truly understand the ins and outs of SMS marketing, you simply won’t succeed. With that said, here are some of our most valuable blog posts. Skim through these, and if you have any questions, shoot us an email at info@slicktext.com. Your auto reply can make or break the effectiveness of your SMS marketing list. At the bare minimum, you must include business name, confirmation of subscription, opt in offer details, frequency promise, and opt out instructions. These are absolutely requirements. This blog post details more about why all of these elements are important. Skim this blog post, and vet your reading schedule. These short summaries will help your organize and prioritize your learning to do list. We definitely recommend hitting the beginner’s guide first, as this will lay out all the basic, need to know SMS marketing knowledge. 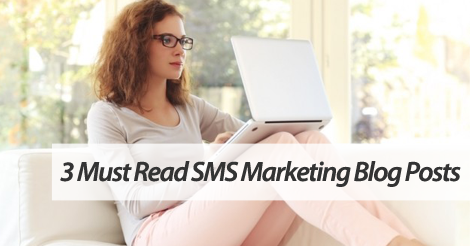 If you aren’t necessarily a reading fan, check out our Beginner’s Guide to SMS Marketing Infographic. The simple visual layout might make the knowledge easier to digest. This post is a bit more advanced, but totally worth the read. To measure the effectiveness of SMS, you must regularly examine your return on investment and cost per acquisition. Check out this blog post to learn more about calculating how much each subscriber costs you to acquire. Long term, this is something you definitely need to know and perfect. Partner up with an SMS marketing service that prioritizes results. Give us a buzz at 1.800.688.6290 to learn more, or head over to our pricing page and sign up for a free plan. We pride ourselves on top of the line SMS marketing education.